DENVER -- A former U.S. soldier who killed a transit security guard in downtown Denver last year was sentenced Thursday to life in prison without parole. After a three-day trial, a jury found Joshua Cummings, 38, guilty of first-degree murder in the death of Scott Von Lanken, 56. CBS Denver writes that the jury deliberated for three hours. Cummings received the mandatory sentence shortly after the verdict was read. Police said he walked up behind Von Lanken while the guard was speaking to two women late at night on Jan. 31, 2017, put a gun to his neck and shot him. One of the women told investigators that Cummings said something like, "Do what you are told," just before he opened fire and ran away, according to police. He was found a short time later hiding on the terrace of an apartment building with a handgun. Von Lanken was a former police officer who was working as a contract security guard for the Denver area's Regional Transportation District. CBS Denver also reports that Von Lanken was a pastor. Cummings told The Associated Press shortly after his arrest that he supported the Islamic State of Iraq and Syria (ISIS), but investigators said they had not found any evidence that the terror group had anything to do with the killing. Cummings, who joined the Army in 1996 but never saw combat, said he pledged his allegiance to ISIS and fasted behind bars for three days to purge himself of an oath he took to uphold the U.S. Constitution. The Islamic convert from Texas declined to discuss the crime with the AP or whether his support for the militant group led him to shoot Von Lanken. 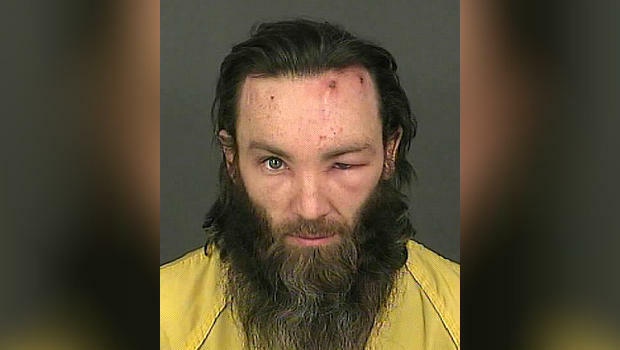 Members of mosques in the Denver area reported concerns about him to authorities before the shooting. On Dec. 24, 2016, a mosque leader emailed the Department of Homeland Security to say a man identifying himself as a Muslim convert named Joshua, from Pampa, Texas, made worrisome statements that day about fighting to establish "the rule of Islam." The email also said the man had rebuked a speaker "as being soft" on Shariah law earlier that month. The FBI has declined to comment on what, if any, action agents took after Cummings was interviewed in December 2016. Cummings had been vocal on Twitter about his views on Islam, and he was both critical and supportive of law enforcement.